The Huskie Food Pantry will be open weekly through Thursday, May 18, and will be open every other week beginning Thursday, June 1, through Thursday, August 24, from 5:30-7:30 p.m. The pantry is requesting volunteer support from faculty, staff and students who are on campus throughout the summer to maintain steady operations. 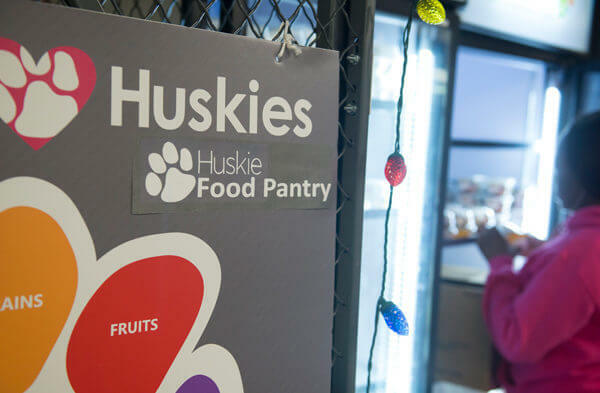 The Huskie Food Pantry provides supplemental support to currently enrolled NIU students without a meal plan who are experiencing food insecurity at no cost to the student. They employ strategies to create a welcoming and inclusive environment in which students can gather the resources needed to alleviate hunger, make healthy food choices and focus more on academic success than meeting their basic needs. The Huskie Food Pantry is also committed to providing students with experiential learning opportunities which will prepare them for student career success. In this endeavor, the Huskie Food Pantry also strives to with the community to provide these resources and opportunities to NIU students in an environmentally and fiscally sustainable manner. E-mail communityservice@niu.edu with any questions.